All companies have their own criteria when it comes to freight forwarder selection. While some may choose a forwarder on cost alone, we know there are additional values that truly make a freight forwarder great. Here are 5 things, other than cost, that every shipper should think about before choosing a forwarder. 5) Expertise: Do they have experience within your industry? Do they have a local presence at the destination where they can offer local expertise? Are they proficient in the modes and service levels you require? Are they experienced, credible and knowledgeable? 4) Crisis Management: Something will go wrong eventually, and when it does you want to be working with a carrier that can provide solutions, and who feels the same level of urgency as you do about your freight. A forwarder should notify promptly of any issues and will work proactively to secure alternative arrangements to mitigate delays. 3) Customer Service: Forwarders should be on time, responsive, flexible and proactive. Forwarders should respond to client emails and phone calls promptly. A forwarder that goes the extra mile to see that their client’s needs are met will make a valuable supply chain partner. 2) Compliance: Forwarders should always follow laws and regulations regarding imports, exports and safety. In addition to the applicable legal regulations, forwarders should always follow a client’s standard operating procedures. 1) Reliability: While cost is always on the short list of important items, fulfillment is the top priority. Freight must be picked up and delivered on time and in good condition. A forwarder that has proven to be reliable in these areas will become a preferred forwarder for many clients. 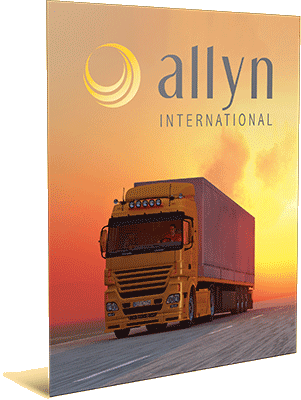 If you have any questions, or if you would like more information on improving, growing or measuring your carrier base, please contact Allyn at sales@allynintl.com.